Pinterest officially launched their “More Ideas” tab to users that allows them to seek new recommendations based on their interests. The “More Ideas” are also relevant to the pins that the users have already saved during their visits on Pinterest. 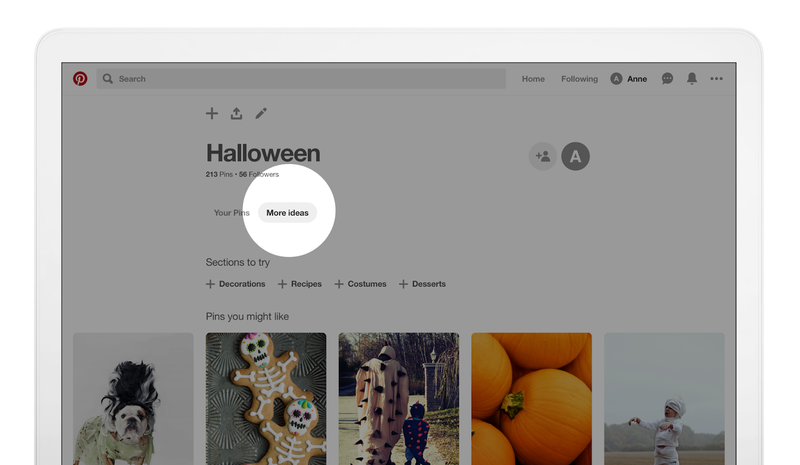 The Pinterest “More Ideas” tab is available to all the users via their official website and mobile apps. "With the “more ideas” tab on each of your boards and sections, you can explore new recommendations inspired by the ideas you’ve already saved. You’ll also see suggestions for new sections you can add to help organize your ideas." explained Pinterest, in a blog post.